We are very pleased to be able to host an exhibition of Banksy and Noddy at Kidzmania as well as Thomas the Tank Engine and other well known staples of the Art World such as the Connor Brothers and Grayson Perry. 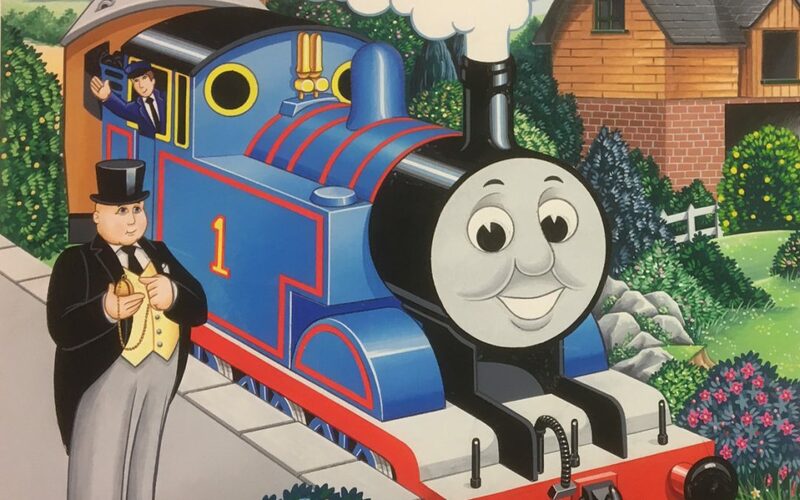 We are teaming up with John Brandler of the Brandler Galleries to host a pop up exhibition and sale of original Noddy and Thomas the Tank Engine illustrations as well as more standard works available from the Brandler collection. John is a well known expert on Banksy as well as a collector. He is regularly called to comment on ‘Banksy News” as in http://www.i-am-bored.com/2018/10/banksys-art-shreds-itselef-at-auction. Well known as he is, however, this is perhaps the first time that Banksy and Noddy have appeared together! 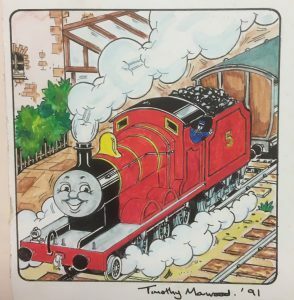 In those almost forgotten pre-digital days, animation for cartoons such as Noddy, Thomas the Tank Engine, Captain Pugwash, and of course Disney, was created by thousands of hand drawn illustrations. The Brandler Collection houses many of these illustrations and these will form part of the exhibition, some of which will be available for purchase. In addition, there will be a selection of Banksy and Connor Brothers prints and other artworks. John Brandler advises on how to build up a art collection for pleasure and for profit, anticipating who will be famous (and more than he can afford) in a few year’s time. He will be available to give advice at the exhibition and also to give some of the background information on the works being exhibited and sold.